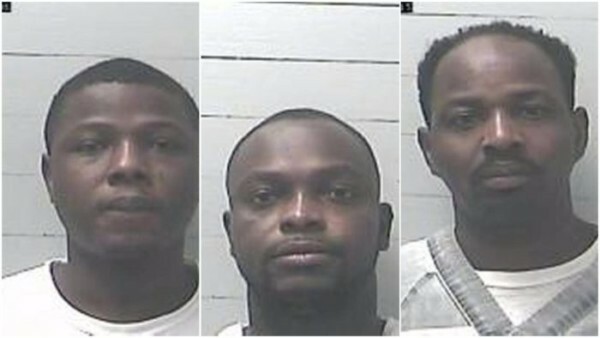 Three Nigerian scammers who befriended many of their victims on dating sites have been slammed long prison sentences by a Mississippi court after making tens of millions of dollars from their schemes. commit bank fraud and money laundering. Fourteen others resident in the US were also arrested to face trial in Gulfport, Mississippi on nine federal charges, including conspiracy to commit identity theft, wire fraud, bank fraud, theft of US government funds, and conspiracy to commit money laundering. The indictment states that since 2001 the accused, were part of a string of scams against Americans, facilitated by internet communications. These include the longstanding 419 scheme, whereby a massive windfall is promised once a small number of payments have been provided, but the DoJ claims it went much further than that. Global fraud continues to grow thanks to the internet and an increase in the use of both anonymizing technology and bots designed to mimic human behavior. ThreatMetrix, which analyzes 20 billion annual transactions, blocked 130 million fraud attempts in Q1 alone, a 35% increase on the same time last year. However, it is Europe that has become a major fraud hotspot. There were 50% more fraud attempts originating from the region than the US in the quarter, the firm claimed.